Join Avianna for a Sunday afternoon of intuition and creative energy. She will be answering questions in a group setting as we all open up our creative souls and share amazing energy. We are excited to be at Blu Tide Design for this event, just walking distance from the studio. All participants in attendance for this event can attend meditation for free. Thank you everyone for the outpouring of interest in joining us on this awareness of wellness. I am on week 7 of the juice journey and so many beautiful things have transpired. My eyes have become lighter, my skin complexion has changed, taste buds have altered and energy has skyrocketed…all because of feeding my body organically and naturally. Are you ready to jump start your wellness, we would love to have you join us! 21 Days of awareness, support, health and wisdom. Live meditations, resources, active Facebook group and engaged support from Avianna and Vibe Well. Moving from mindset to soulset, setting intentions and preparing the body for the juice cleanse. Tuning into a vibe of nourishing the body and soul. Tools to remove physical programing, cravings and resistances. We have had so much interest with people who are local as well as out of state, we are able to accommodate both options. Local Juice Pick Up - We are able to accommodate 11 people who will be joining us here in Michigan and able to pick up juices during week 2 at Vibe Well. Non-Local – We are able to accommodate 11 people who are out of state and able to get juice from your local juice establishment OR we have suggestions for resources that have quality juices that can be shipped to you. This evenings meditation will be one of reconnecting and healing. Avianna will guide you into replenishing the soul, setting intentions and a direct hands on healing for all who attend. Energy exchange for this meditation is a love donation. We accept all prayers and love as Grace will have surgery today. After surgery she will stay overnight at the hospital. We pick her back up Friday Morning April 19th. We honor your love and support. Thank you, thank you, thank you. Sunday morning miracles, nuggets of wisdom from A Course in Miracles. It can be summed up very simply in this way: Nothing real can be threatened. Nothing unreal exists. Herin lies the peace of God. Join Christopher as he discusses the miracles, an hour each month. No experience necessary. As we enter into spring, we step into the energy of planting seeds of purpose and the energy of beginning again. Join Avianna and Christopher as they share with you tools to nourish and cultivate your soul. We sure do love music at Avi Om Studio and we are excited to offer a “concert series” meditation. Matt Packer, a very talented local musician will be playing the keyboard during this live meditation as well as we will launch our very own Avi Om Meditation Music also written by Matt. Step into a gentle, warm oasis, giving your soul permission to relax and be. Avianna will guide you into replenishing the soul through breath work, body awareness, visualization and lots of music. No experience necessary and all are welcome. Living the Wisdom of the Tao, a book by Dr. Wayne Dyer is an annual read by both Avianna and Christopher and one of their favorites. Join them both as they co-teach and share the wisdom they discovered along their journeys. The Tao Te Ching (pronounced, more or less, Dow Deh Jing) is essentially about being in harmony with the way things are. It teaches us how to live and work effortlessly by being in accord with the Tao - the basic principle of the universe. This wisdom is applied to themes as diverse as raising a family, business, good government and ecology. The Tao Te Ching is one of the most important texts within the Taoist tradition and the most widely translated work in world literature after the Bible. The Tao is considered by many scholars to be the wisest book ever written and even though it is only 81 verses it encourages you to change your life by literally changing the way you think. *The book is required for class and is not included in pricing. You can purchase the book here. For the first time in nearly 40 years, the spring equinox will occur on the same day as March’s Full Moon, so let’s celebrate with Mother Earth. Join Avianna as we use the full moon energy to let go of what no longer serves us along with the Spring Equinox energy to cultivate and plant seeds of new beginnings. Avianna will guide you into replenishing the soul through breath work, body awareness, visualization and music. No experience necessary. During Avianna’s meditation teacher training at the Chopra Center, these seven laws were a part of their daily practice and her current practice today, she is excited to share them with you. This is a book you will reference again and again, for within its pages are tools to align you with what it is that you are calling forth. Based on natural laws that govern all of creation, Deepak Chopra offers a life-altering perspective on the attainment of success: When we understand our true nature and learn to live in harmony with natural law, a sense of well-being, good health, fulfilling relationships, and material abundance spring forth easily and effortlessly. 30 minutes will be dedicated to Blissful Silence. 30 minutes will be dedicated to Writing/ Soul Releasing. Bring your notebook, pen, or pencil. Take note of what Spirit shares with you. Qoya is a blend of yoga, dance and feminine movement based on a really simple idea that through movement we remember our essence is wise, wild and free. Qoya is designed to feel how the body and movement are a portal in remembering to feel our perspective shift from going through the motions to savoring life as sacred. In this season of LOVE, let’s dance with our relationship to self that trusts the truth in our body which informs us that only LOVE is real. Join Bruce and Jessilynn Gilbank for an evening of conscious gratitude, heart opening and expansion. With soulful presence we will focus our attention on all we are grateful for NOW through a powerful shamanic ceremony. The despacho ceremony is an indigenous Andean shamanic gratitude ritual that we learned studying with the Q'ero shamans. Saying thank you is one of the easiest ways to enter what the Q'ero shamans refer to as ayni or being in right relationship. This ritual is designed to bring you into this state of ayni. The despacho is a gift to Mother Earth, to Spirit, to the organizing principles of the universe and to life. The ritual invites healing, re-establishes right relationship, and summons protection as we expand in the direction of our dreams. 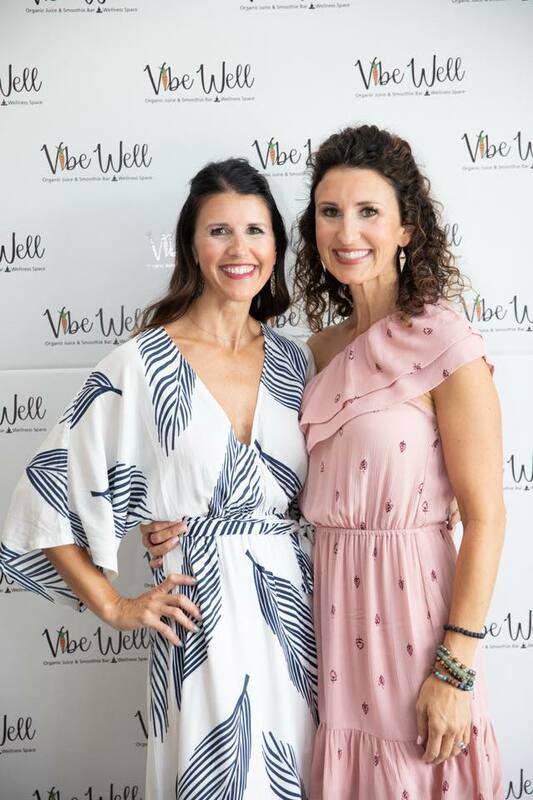 Jessilynn and Bruce are passionate about sharing these ancient wisdom teachings of the power to connect in a spiritual, emotional, physical and energetic way with nature. They have been immersed in the shamanic path since 2013 when they spent time in the Amazon Jungle with the Q'ero shamans and Four Winds Society. Jessilynn later went to live in Chile at the Los Lobos Monastery in the Andes mountains and pursued advanced shamanic studies while living in California. They continue to study various indigenous shamanic mystical wisdom traditions with top mentors from around the world. Join Avianna for some extra zen and relaxation as she guides you through a healing meditation in a Himalayan Salt Room. Salt or halotherapy (breathing salted air) has many healing benefits such as reducing inflammation, eliminating toxins and allergens along with strengthening the immune system. Halotherapy along with this meditation will leave you feeling refreshed and rejuvenated. Step into this magical salt oasis, giving your soul permission to relax and be. Avianna will guide you into replenishing the soul through breath work, body awareness, visualization and music. All are welcome and no experience necessary. You have a specific story as to what your soul wants to experience here. Often times your journey can take detours or get sidelined as life and fears begin to take over. By reconnecting to your true essence and your intuition, your inner compass will begin to create new pathways of trusting, knowing and believing. Your current signal that is being sent out to the Universe by thoughts, feelings and words, in fact, is the compass that the Universe uses to help direct your path. Together in this workshop, Avianna will guide you in discovering and course correcting to your true north. What is your current signal, positive or contrary? What is your intuitive superpower? Once you begin to understand how your compass navigates, you can begin to nurture it properly. Powerful tools to ignite and mindfully maintain your inner compass and true north. Join Avianna experiencing inspiration and clarity on your current and future journey of exploration.